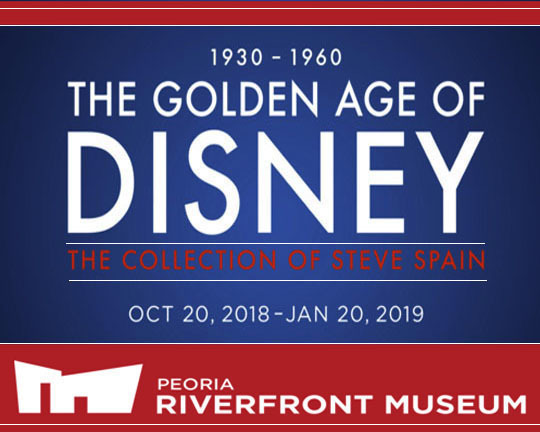 Almost two years ago, I went and visited Steve Spain’s basement here in Peoria that houses probably the most extensive and Impressive Walt Disney art collection in Central Illinois and beyond. You can see that post by clicking here or on the title graphic below that was used for that post back in 2017. After getting a personal tour of Steve’s massive collection of art, animation backgrounds, story boards, cels, movie posters and more, I told him his basement was like going to a museum. We then said it would be cool if his collection was actually put on display at the Peoria Riverfront Museum. Then I went home, drank a bunch of beer, put the post up the next day and had a sandwich and kind of forgot all about it and moved on to the next thing I had to do. But Steve didn’t forget, he pursued his dream and last October it came true! The Peoria Riverfront Museum put his collection on display and I was anxious to see it in the museum. However it coincided with my heart surgery so I couldn’t go till last week. If you haven’t made it there to see this fantastic exhibit, you have just eleven Spinal Tap-like days to see it. Here’s some highlights from my visit last week. We are here at the Peoria Riverfront Museum on Washington Street in beautiful downtown Peoria. Let’s go inside and see what’s happening. There’s the banner for Steve’s exhibit and I went to the ticket counter and got my wristband from Josh. Time to go and take a second look at Steve’s collection! And speaking of Steve, he just happens to be holding the door open for us! What a magical Disney moment! He’s going to give us a personal tour of the whole exhibit! It all starts with the man whom this whole collection is devoted to: Walt Disney. There’s several photos of Walt and a quote about moving forward and curiosity is displayed on the wall above some of the artwork. As you can see, there’s quite a lot of Steve’s collection on display here. His basement must look kind of empty right now! There’s a lot of original full color Disney art and animation that Steve has collected through the years on display here. These are two pieces of art autographed by Walt Disney, very cool! Vintage Disney movie posters are also sprinkled into this colorful and fun exhibit. There’s dolls and interactive displays to see including a Mickey Mouse pencil drawing that comes to life on a screen beneath it. There’s also instruments that you can make your own sound effects as a cartoon short is displayed. 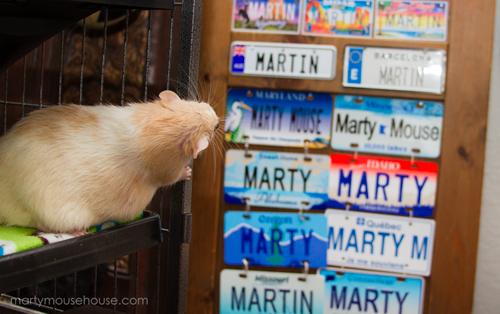 Steve reluctantly posed with Walt Disney’s most pathetic and bitter character, Marty Mouse. Yikes! I had seven questions to ask Steve Spain and so that’s exactly what I did. See how this works? How did your Walt Disney collection/obsession go from a basement hobby to a full-blown curated museum exhibit? The idea for a Disney exhibit had been a dream of mine for many years.I proposed the idea to various organizations over the years with varying degrees of interest A couple of years ago, Sam Gappmayer showed genuine interest for a show at the Riverfront Museum. 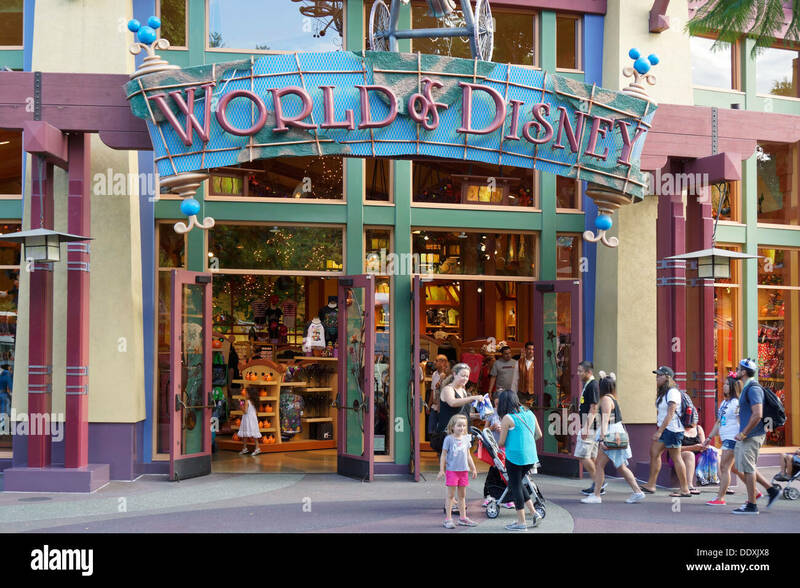 When John Morris took over that position he gave it the green light with one stipulation - it had to be approved by the Disney Company To my surprise, after 10 months of hoops, Disney gave their approval. Dream realized! What have some of the highlights of this exhibit been? The biggest highlight has been the reaction from the general public.I don't know how many time that I've heard, "Thank you for sharing your collection with our community." Most folks have a connection with Disney in some way. Do you have a favorite piece of art in this exhibit? It's hard to pick a favorite. But if I had to choose it might be the Cinderella in ball gown on master background which is inscribed and signed by Walt Disney himself. Are there other places you might consider showing your collection at? Animation art is a very fragile art form and doesn't travel well. I think this show was a once in a lifetime event. I hope that everyone who wants to has a chance to see it before it closes in just a few days. Truthfully, which was more of a thrill, being featured on Meanwhile, Back In Peoria or having this exhibit at the Peoria Riverfront Museum? Nothing can compare to being featured in Meanwhile Back in Peoria. I'm a little surprised that you even asked such an obvious question. There's only eleven more days left for this exhibit, do you have anything special planned for these last days? You also have a book that you've published about Walt Disney and your collection, how can people get a copy of that? Yes, you can pick up a copy of my book, "The Art of Disney's Golden Age Films" on Ebay or at my store, The Costume Trunk which is located at 710 W. Main Street right here in Peoria. The Wonderful World Of Lettering Works’ Chelsie Tamms! When you visit the Peoria Riverfront Museum, you have to visit their gift shop which is jam-packed with fun items and souvenirs. The best part of the gift shop is a section that’s pretty much devoted to local artist, Chelsie Tamms from Lettering Works, who has designed and created lots of fun Peoria items for sale in here ranging from postcards to shot glasses to magnets to drinking glasses and more. I decided to go with a Peoria magnet, and there’s Jada holding it behind the counter! I added it to my Chelsie section on the official MBIP refrigerator! Chelsie recently completed the art for the new poster for the Marty Monologues Show coming up in April, check that out here! Okay, we’ll see you all tomorrow! The Wonderful World of Disney.